From deafness to stress, anxiety to now obesity, noise pollution seems the root of so many terrible hazards. Then why are we so silent about it? Do you dread stepping on the weighing scale every morning? The cheese-burst pizza you had last night might not be the culprit though. It could just be the annoying driver who was honking incessantly when you were driving to the restaurant who caused the needle on those scales to tip rightwards. Researchers from the Barcelona Institute for Global Health (ISGlobal) in Spain analysed the data from 3,796 adults and found that long-term exposure to road traffic noise may increase the risk of obesity. The research found that increased exposure to noise pollution alters hormone levels, increases blood pressure, deregulates glucose metabolism and alters the appetite. This, in turn, leads to a higher BMI, overweight and obesity. “In our analysis, we observed that a 10 decibel (dB) increase in mean noise level was associated with a 17 per cent increase in obesity,” said Maria Foraster from ISGlobal and the lead author of the study. "In the long term, these effects could give rise to chronic physiological alterations, which would explain the proven association between persistent exposure to traffic-related noise and cardiovascular disease or the more recently discovered associations with diabetes and obesity," she added. While this might be the latest, it is definitely not the first research study that points at the hazards of noise pollution. In 2007, the World Health Organization (WHO) estimated almost six per cent people in India suffer from hearing loss. A decade later, in 2017, Mimi Hearing Technologies — founders of the digital hearing app — and WHO analysed noise pollution in 50 cities across the world. Does it come as a big surprise if we say that Delhi ranked the second worst city in the world for noise pollution — marginally lower than Guangzhou in China? India's capital was followed by Cairo, Mumbai, Istanbul and Beijing. Traffic — particularly incessant honking — emerged as the biggest culprit, closely followed by loudspeakers and noise from construction work. 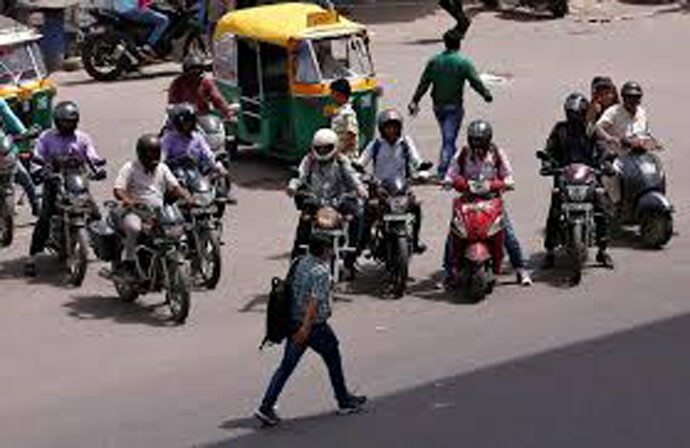 A study by the Centre for Science and Environment (CSE) had shown that the traffic intersection at the Income Tax Office (ITO) in Delhi saw noise levels as high as 106 decibels (dB) due to vehicular honking. To put this in perspective, chronic exposure to sound beyond 85 dB for eight hours can cause irreversible hearing loss, at 120 dB noise becomes painful — and a sound impulse at 140 dB can tear the eardrum. The effects of noise pollution do not stop with obesity or hearing loss. Having shifted from a relatively quieter Coimbatore to the national noise capital of the country in 2015, I was diagnosed with anxiety disorders resulting from constant honking in Delhi's unbearable traffic. It was when I sought psychological treatment for the same did I learn that stress, anxiety and panic disorders because of noise pollution is not all that uncommon. M Srihari, a psychologist at the Bangalore Medical College, says that more than 50 per cent of patients suffering from anxiety or depression cannot tolerate too much sound, and noise pollution is amongst the foremost causes for stress in urban dwellers. A report by WHO in 2011 ranks sleep disturbance and annoyance as major components of the health burden due to noise. Other impacts include heart disease, high blood pressure and strokes. Studies of children exposed to environmental noise have consistently found effects on cognitive performance. Children exposed to chronic environmental noise have been found to have poorer auditory discrimination and speech perception. So stop — think before honking at that traffic signal on your way to the gym. You can perhaps lose weight if you stop exercising your palm to jam that horn.